Sale: Buy the book get the workbook free. 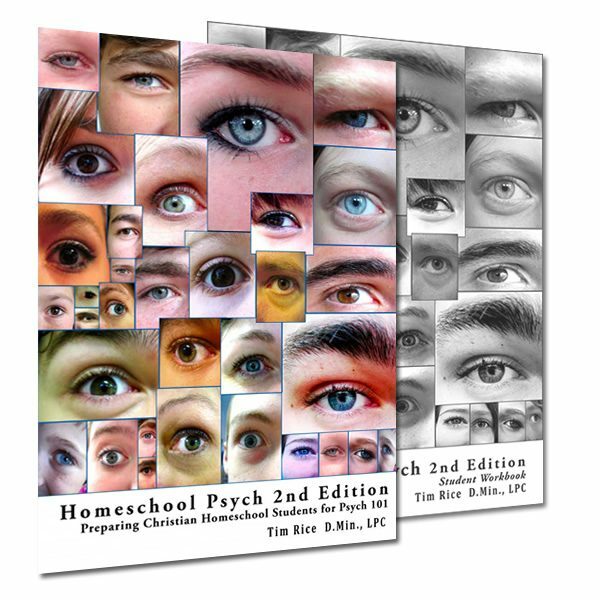 Set of Two: Homeschool Psych: Preparing Christian Homeschool Students for Psych 101 AND Student Workbook. The workbook was revised and improved in 2018. Easy to use. Quizzes, opportunities for further study, essay topics, and topics for dinner time conversation.